Fox News psychiatrist Keith Ablow has jumped the shark with his latest column. The guy was never exactly a model of rational thinking - what with his diagnosing of Vice President Joe Biden without benefit of examination, his likening President Barack Obama to a wife beater and Psy's Gangnam Style video to a narcotic. But Ablow's latest column on FoxNews.com in which he accuses President Obama of engaging in a "black ops" psychological warfare against Americans is so off the wall that Fox really ought to consider committing him. Right after they dump him. I believe that the Obama administration is conducting psychological warfare on conservative Americans. Not only that but it is also waging this war on all Americans who previously viewed themselves, their country, their Constitution and their overwhelming belief in God as a force for good in the world. And then gets crazier: Ablow goes on to suggest that President and Mrs. Obama deliberately and "malignant(ly)" planted "the seeds of self-hatred and self-doubt" in Americans. Psychological warfare has been described as a set of techniques aimed at influencing a target audience’s value systems or beliefs and inducing confessions of wrongdoing or attitudes favorable to the group proffering the techniques. The techniques are often combined with black ops strategy, in which covert initiatives seek to dispirit, disempower and confuse adversaries. The psychological warfare has continued, I believe, with other opportunities the president has had to make American’s question their individual freedoms and autonomy. Seen through the lens of psychological warfare, the failure to defend our embassy in Benghazi need not be understood simply as a screw-up. It could reflect an actual strategy on the part of the administration to reinforce the notion that homicidal violence born of hatred toward America is understandable—even condonable—because we have generated it ourselves and are reaping the harvest of ill will we have sown. In other words, we should take our punishment. ...(This) may disclose not just incompetence and may not just be evidence of a cover-up, but may be evidence of exactly what I am theorizing here: that the president, with the help of his administration, is attempting to conduct psychological warfare on Americans who value autonomy and free will and free markets and small government, by convincing them that they are wrong-minded, prejudiced and pathological and should deeply question their beliefs—including some ensconced in the Constitution. Black ops are generally defined as covert, extra-legal activities carried out by military and/or intelligence agencies. For Ablow to assign that sort of purposeful deployment of wartime hostility aimed at unsuspecting Americans is nothing short of delusional. It is beyond the conventional conspiracy theory theatrics of nutcases like Alex Jones or Glenn Beck (with whom Ablow co-authored a self-help book). It is important to remember that Ablow is not broadcasting this drivel from an Idaho compound over a ham radio network. He is a member of the Fox News Medical “A” Team and his opinions are distributed by Fox and its affiliated “news” outlets. So the next time anyone tries to pass off Fox as a reputable journalistic enterprise, direct them to this example of the absurd balderdash that they regard as respectable reporting. 1. Buying ALL the bullets in the country. 2. Controlling the weather, initiating deadly storms wherever and whenever he wishes. 3. A possessor of wizardry of Black Ops. Sounds to me like the ’Baggers are seriously fucked. well, physician heal thy self!!! Please!!!! 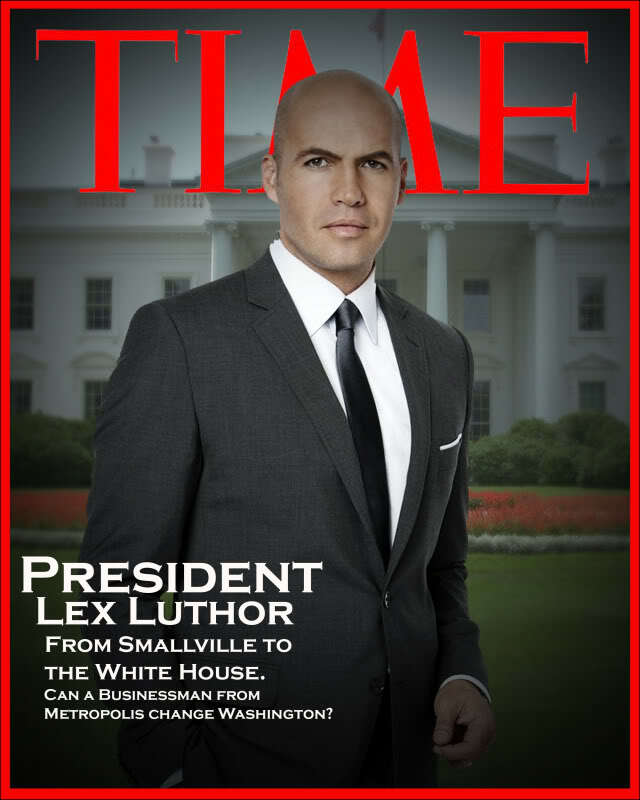 Gee, it’s a good thing Fox News keeps telling us that Obama’s too weak and stupid to tie his shoes daily- Otherwise, I might believe their stories about how he’s secretly Lex Luthor. ^- Fox-O-Vision is up and running. Oh, and please tell me I’m not alone in wanting this idea to be the next Superman movie! This is a case of projection by Fox News. I would agree that Fox News desperately needs stories like this on an emotional level, and that they are hoping to parlay this. The whole idea is to repeat trivial questions and assertions and then tie them together into a seemingly organic whole. Done enough times, they can pretend that they’ve established a “history” of “corruption” and/or “sinister behavior”. Thankfully, there are sites like this one to correct the record and rebut these guys every time they do it. It’s like playing whack-a-mole, but it’s necessary. Well you know what they say ,the shrink is sicker then the poor devils he is suppose to help seeing reality.In this case the shrink is over the top beyond help certified crazy. “Dr” Allblow as a complete whackjob.